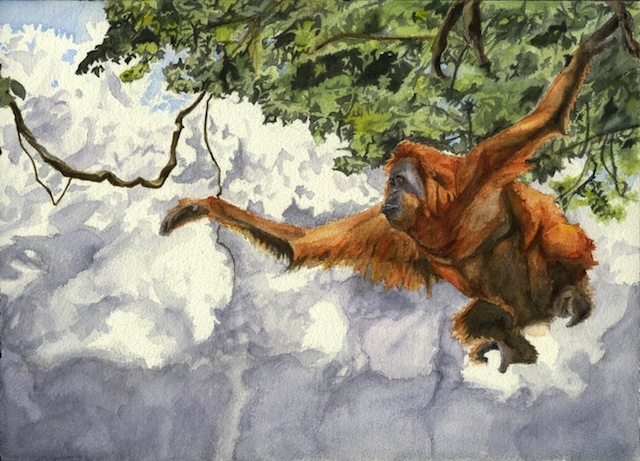 Orangutangled: Monkeying Around On High. Pongo pygmaeus. Watercolor on Cold Press. 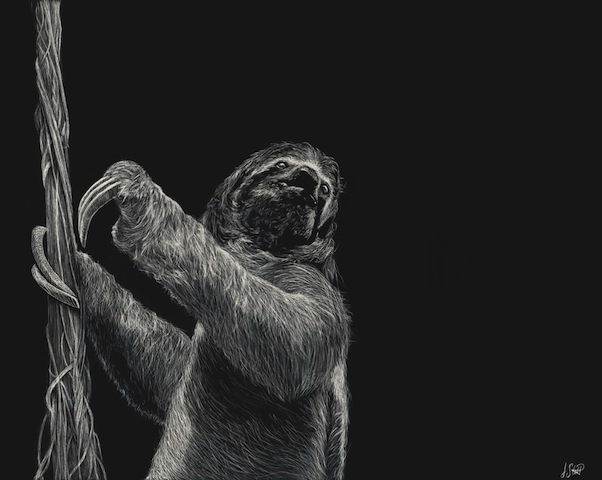 Slow-Twitchin': Saga of the Sloth. Bromilliad: Voyage to The Open Seas of Tree Canopies. Billbergia sp. Watercolor on Cold Press. 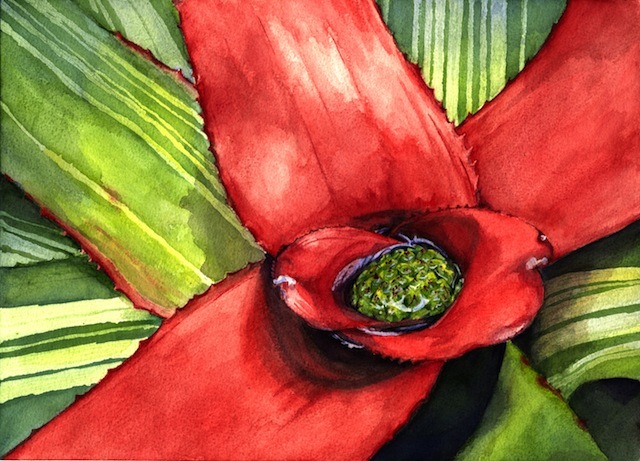 Cactus: Blossom of the Spiny Succulent. 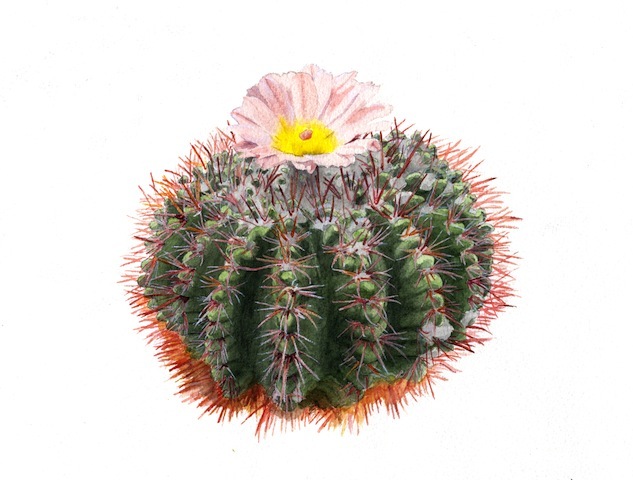 Parodia mammulosa. Watercolor on Cold Press. 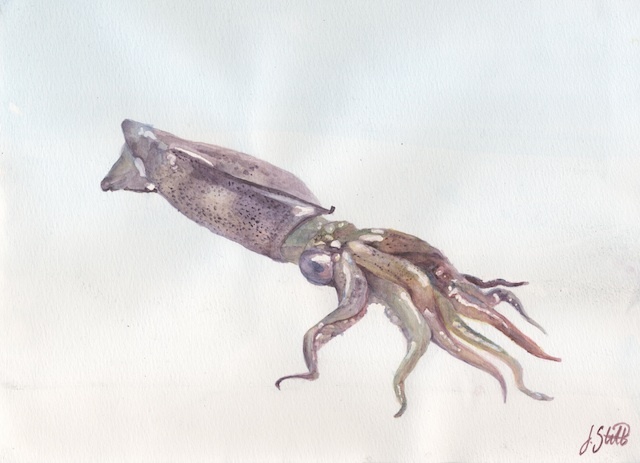 Inkjet Sprinting: For Streamlined Squid Swims. Loligo opalescens. Watercolor on Cold Press. Odontolabis cuvera. Pencil on drafting film. * No standard large sizes available due to a smaller original piece. 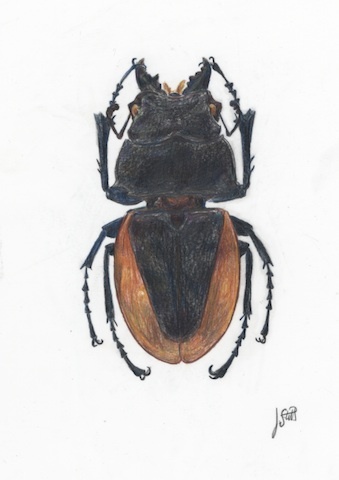 Please get in touch if you would like something larger, or if you'd like me to create a Carabidae of your very own! 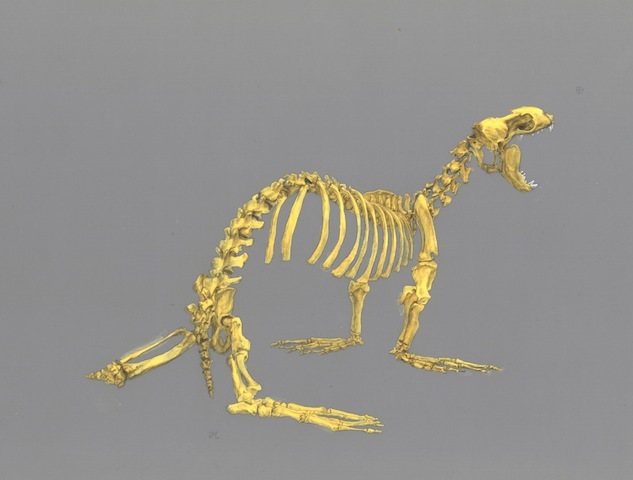 Stellar Series: Steller Sea Lion Skeleton (1/3). Eumetopias jubatus. Pencil & Gouache on Drafting Film. Stellar Series: Steller Sea Lion Sinew (2/3). Stellar Series: Steller Sea Lion Skin (3/3). Eumetopias jubatus. Pencil on Drafting Film. 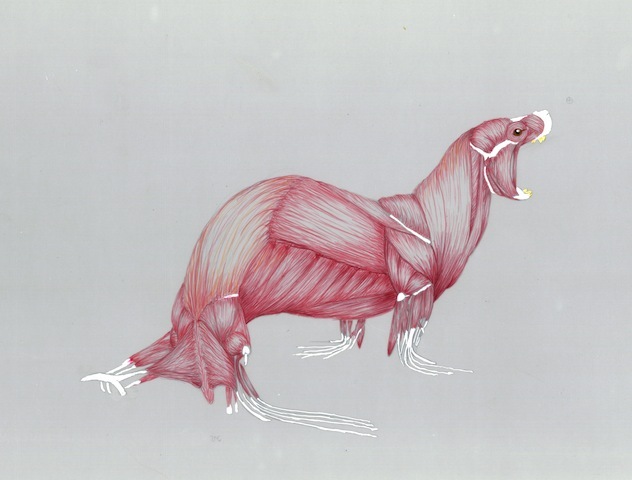 Stellar SeRIES: Steller Sea Lion Skin. 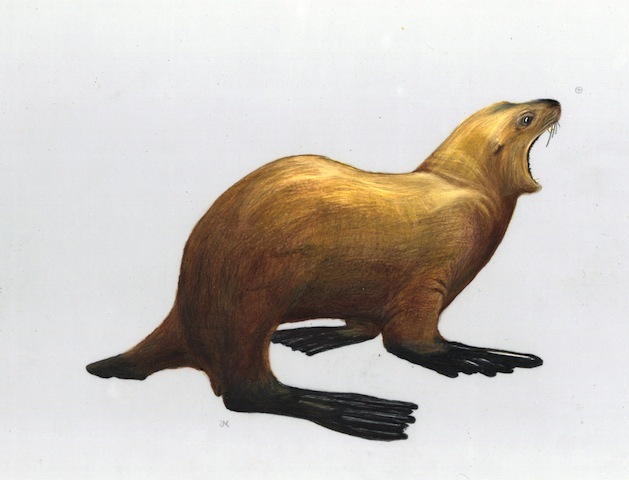 Stellar Series: Steller Sea Lion Skeleton, Skin, & Sinew. * For additional sizes, contact me! Then you've come to the right place - because here's where you can get some flora and fauna finesse for yourself! Or ... as a gift for somebuddy in case you've just remembered a birthday or important holiday! Any and all works on this site are available as prints - ready & raring to go on an adventure, and journey to their new & exciting destination! Prints come in standard sizes*, but if you have something extra special in mind, framing, per se, let me know below and we can talk it out. Don't worry, your prints will arrive without the watermark at the bottom, and I personally sign every image I send out! That way you know it was given the utmost love and care. Free hugs can be included with any order, but are subject to shipping & handling fees. And just this once, the destination is more important than the journey, so in the rare instance that your print gets damaged in transit, holler at me & I will send you a brand spankin' new one lickety-split. Makes me think of banana splits. With PayPal, you can simply add any of the prints on the left to your cart. Otherwise, you can fill out the form below to order prints, ask questions, or just say hello. *Standard sizes are pequeno (small), mas o menos (medium), & muy grande (large). Prices vary by piece & print size. And all purchases go toward Jess' Jungle Jamboree!